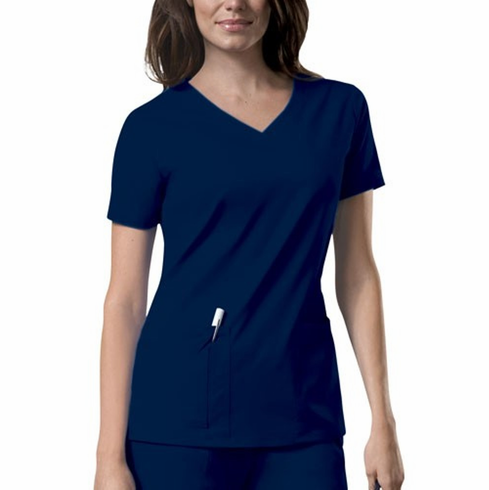 A V-neck top features crossover front yokes and patch pockets. The right side pocket has a sectional pocket and I.D. loop. A back yoke, back princess seams and side vents complete the picture. Center back length: 27".